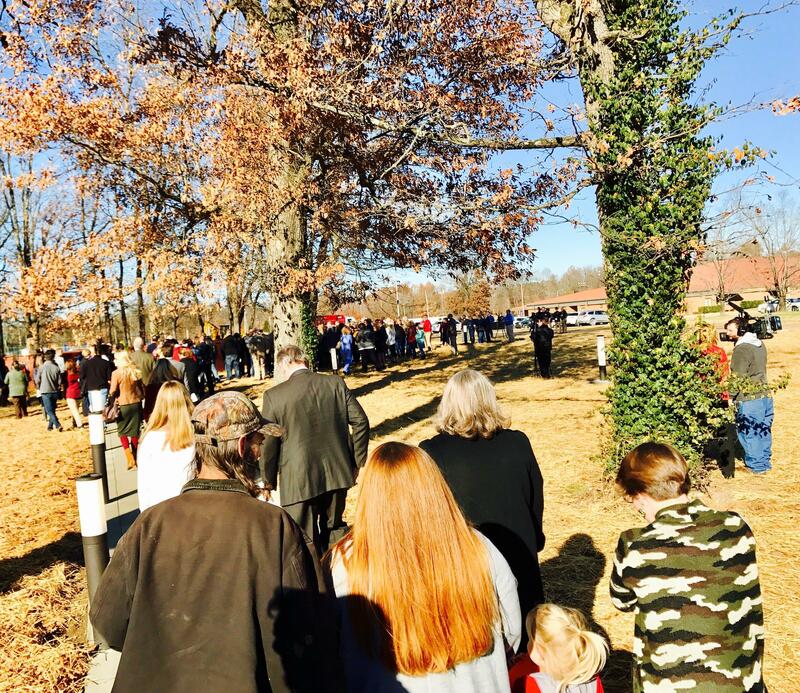 First responders, community leaders, teachers and families walked to the new memorial located across the street from Heath Middle School, after the service. First responders, community leaders, teachers and families filled the school gym for the service. Solace at the memorial was found in songs of faith, hope and gratitude for a community that is still reeling from the deaths of Nicole Hadley, Jessica James, and Kayce Steger. The three students were killed while attending a prayer group when the school was fired upon. 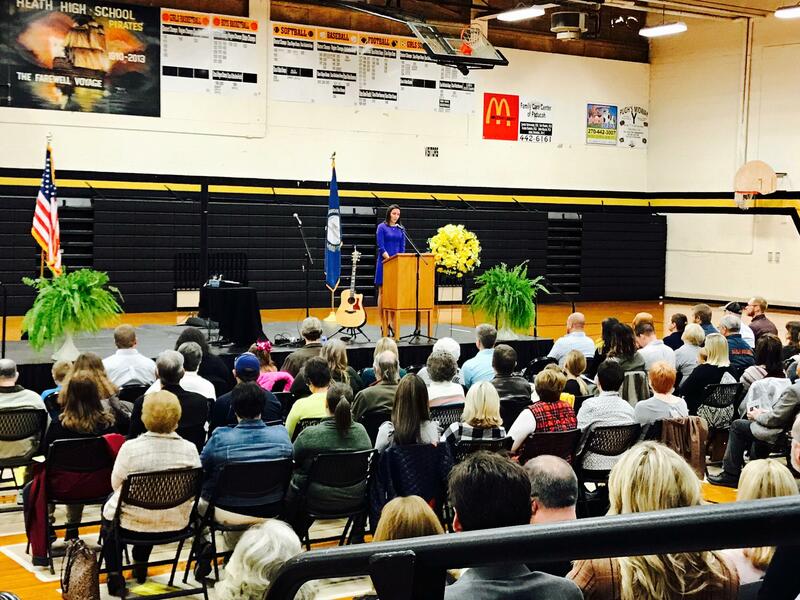 An expression of gratitude was offered by Christina Hadley Ellegood, sister of Nicole Hadley. Nicole was one of three young women killed during the school shooting in 1997. It is that same faith in God that the service acknowledged as strength for the community to move forward. Survivor Missy Jenkins Smith sat in the front row of the service in her wheelchair, which she depends on after sustaining injuries from that day. She said finding some meaning from the event is what has helped her heal. “You know what I had to go through and what I have to still deal with now is serving a purpose in some form or fashion, so that people can see what violence can do. It's kind of a reminder.” Smith said. Smith is now a school counselor and said rather than getting political about things like gun control she wants people to be aware of behaviors that symbolize violence. She wants kids to step forward when they notice something wrong. “I've learned the importance of reporting violence,” said Smith. “And you know it's such a negative thing but we don't want those lives to be forgotten because of this negativeness but to see that their lives were there to make change in a positive way and help prevent it from happening other places.” She said. Smith was joined by her husband and two young sons. This was the first time that her boys had been to the school said Smith, but she feels it’s important in helping them to answer questions surrounding the event that changed their mother’s life. "My oldest son got really nervous when he learned that there was an elementary school shooting at Sandy Hook. I told him, ‘you know Logan these are the things that your school does to keep you safe.’ And to remind him how important it is to let someone know if someone's threatening to do something.” Smith said today was a teachable moment for her own children. Students Shelley Schaberg, Kelly Hard Alsip, Hollan Holm, and Craig Keene were also struck by gunfire but survived. Since the shooting, Heath High School has become Heath Middle School. 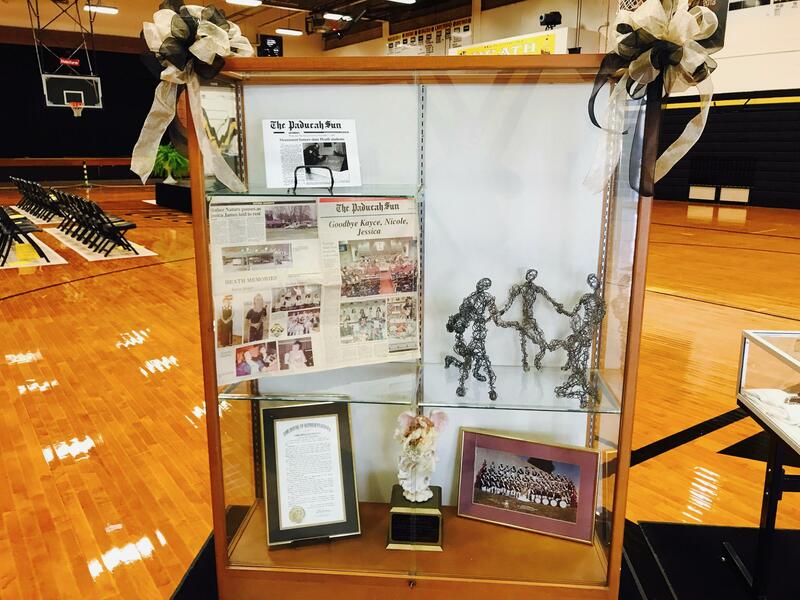 Organizers held a ribbon cutting ceremony for a new memorial site located across the street from the school after the service. 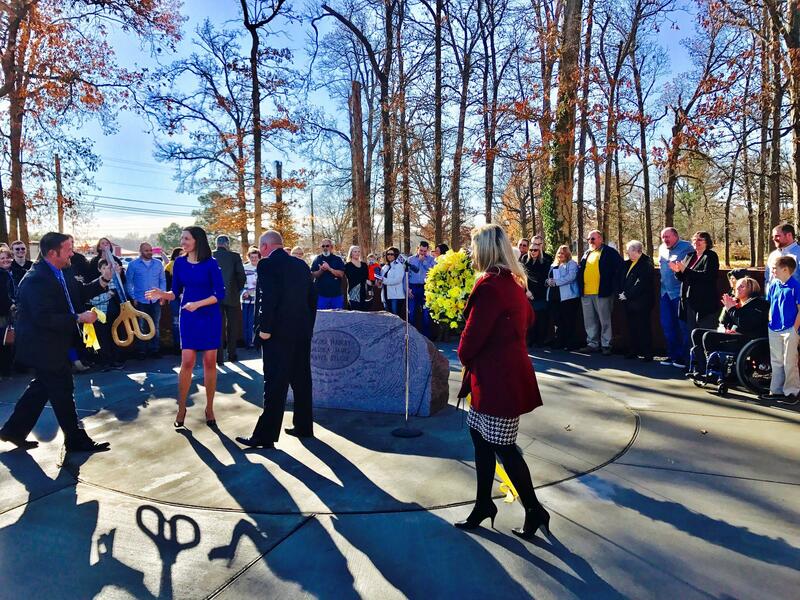 The new memorial was built in the shape of a circle because the prayer group was standing in a circle when Carneal came into the school. There will be 5 benches inside the memorial to represent the 5 surviving victims. The project was spearheaded by the sister of Nicole Hadley, Christina Hadley Ellegood. During the service she thanked the community for continued support and for the more than $80K raised nationwide for the memorial. Christina Hadley Ellegood leads ribbon cutting for new memorial at Heath Middle School. Michael Carneal was sentenced to life in prison with the possibility of parole after 25 years. His eligibility for parole is November 25, 2022.